As I weigh in on Fridays I thought it might be a good day to do a summary of the last week and my progress on this day. Well the past week has been a bad week for food - two takeaways and two meals out, none of which were particularly health conscious. I've found myself reaching for unhealthy snacks right left and centre and have pretty much eaten my weight in cheese. As you can see, I have not ran far, or fast. 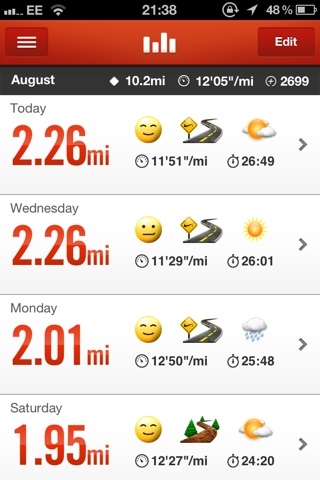 But I don't mind, as I feel I am finally getting somewhere again, and next time I am ready to move on to 2.5 miles. So the good week of exercise has been quite good damage control for the horrific week of food and when all was said and done I only gained 0.3lb. I wouldn't say I'm happy with that figure but I'm certainly not disappointed given the burgers, ice cream, pizza, roast dinners, etc - I've been lucky. This week is my holiday from work. I am spending the whole week at my parents' house but I am going to be out a LOT - there is a local folk festival which is a HUGE thing down here. So my challenge will be to try and eat healthily and keep up the running amongst all of the upheaval and shaking of routine. Not easy. Next week I'd really love to see a loss as the week after is my birthday week! I don't want August to be a TOTAL write off. I don't know if that quote is at all genuine but it is so true. 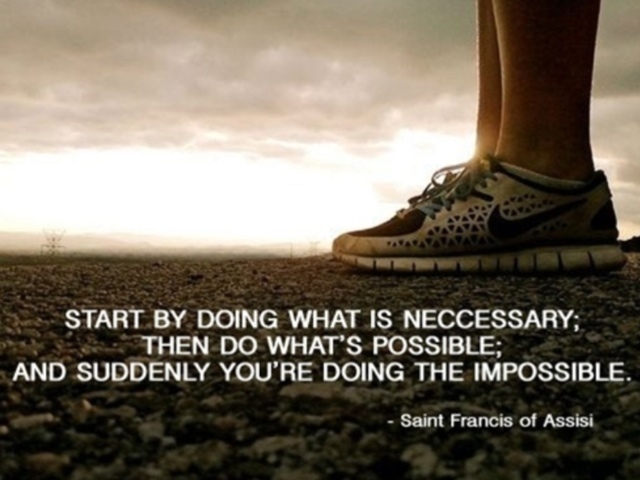 When I ran a 5k race I was doing something I previously thought impossible. And that is what will happen to me again when one day I run a 10k. Much love and hope everyone has a great week!